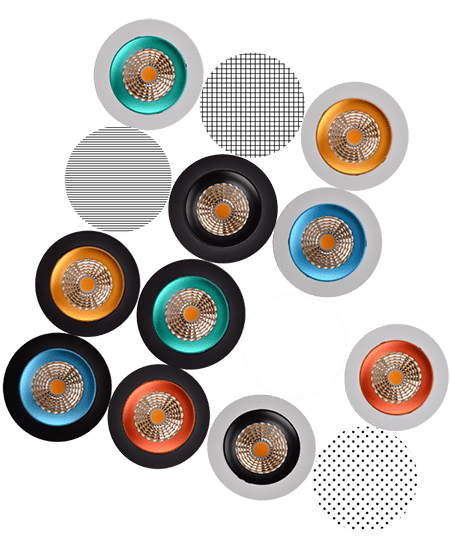 Featuring premium grade aluminium body with powder coated finish, BoscoLighting's RING Designer Downlight is one of the most stylish products in our high-end architectural lighting range. Available in a selection of coloured internal trims, our adjustable downlights can be customised to suit designers' needs. Offering a more architectural feel as well as a more aesthetically appealing look, this is definitely a product that adds value to your or your client latest project. Tailor-made for lighting designers and architects, BosocLighting’s RING Gimble Recessed Downlight is suitable wherever a keen colour detail in indoor architectural lighting design is needed. Select from a variety of colour rings options to achieve the sophisticated "designer look" in today's most desirable high-end architectural interior spaces. Combining unique aesthetics design with state-of-the-art technology, it allows you to adjust the light of approx 25 degrees. 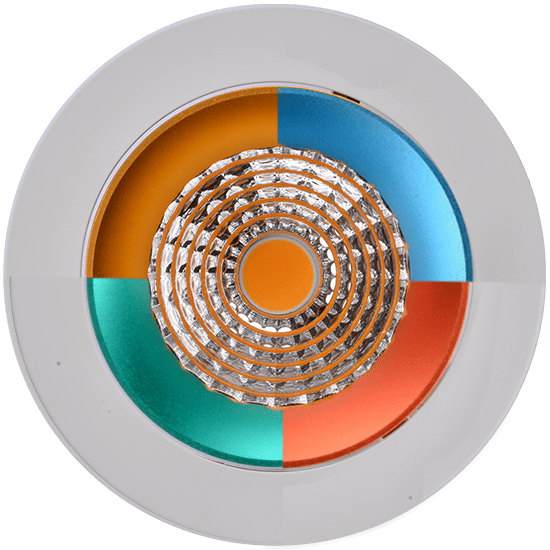 This high-quality gimble downlight also features a very high colour rendering index (CRI) of 92, perfect for anywhere extreme colour accuracy is required. Our LED downlights are supplied with everything required for a simple, hassle-free installation. Talk to a Lighting Specialist about it! Comes in different internal colour trims such as Black, White, Green, Gold, Amber and Blue, it would create an eye-catching statement and inspirational lighting schemes for domestic and commercial projects. With deep recessed frame design and a faceted optical reflector system, it provides a 45 degree beam angle and significantly reduces unwanted light spill and glare. Contact our lighting specialist for more information! We can help you every step of the way.